Mr. Fine Wine Swings Again!!!! All the DJs swing at Botanica: Eli “Paperboy” Reed, One Mint Julep, Miss Jenny Wasserman, Sheila B, Todd-O-Phonic Todd, Rata, Mr. Fine Wine, Phast Phreddie the Boogaloo Omnibus. Photo curtesy of Sheila B. What is there to say about Mr. Fine Wine that has not already been said about Mr. Fine Wine here in the Boogaloo Bag? If you have not been listening in to his radio show every Friday night on radio station WFMU then you must do so as soon as you come out of your coma! If you need to know more about Mr. Fine Wine, you can read previous remarks about him in these Boogaloo Bag posts… here, here and here, or at the precursor to the Boogaloo Bag, the Boogaloo Blog where you can read about him here. Suffice it to say, he is a happening cat with a rope to swing on! Seems he always has something happening. On Wednesday November 18, Mr. Fine Wine was celebrating the release of R&B Hipshakers #4: Bossa Nova and Grits, a collection of R&B and soul records culled from the vaults of King and Federal Records that he compiled. These collections are released on a 20-track CD as well as a 10-disc box set of 7-inch 45 RPM records and are jam packed with some of the finest music of all time; essential listening for the Boogaloo Bag reader. 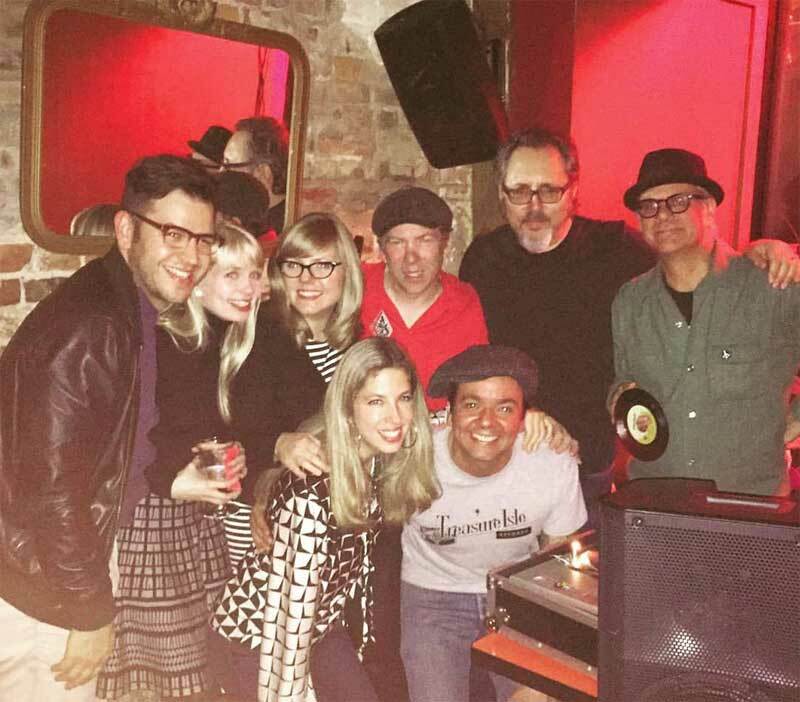 So on this evening, Mr. Fine Wine turned his weekly DJ night at Botanica into a record release party that featured some of his friends DJing—including One Mint Julep, Eli “Paperboy” Reed, DJ Rata, Jonathan Toubin and Phast Phreddie the Boogaloo Omnibus. In attendance were many other friends including his fellow WFMU DJs Todd-O-Phonic Todd and Sheila B; J.B. Flatt of the Brooklyn Rhythm Band; and Miss Jenny Wasserman who has recently returned to New York City after a year in San Francisco. 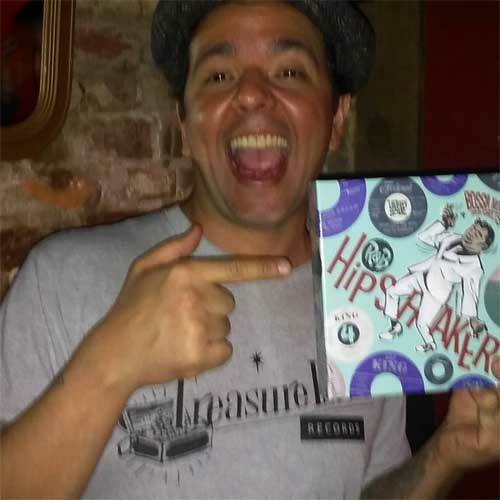 Highlights of the evening include the playing of some fabulous gospel records by the Paperboy, a couple wild Mexican records played by DJ Rata—who also won the raffle for the box set of the celebrated new release! Also, Mr. Fine Wine played an acetate demo of a new Eli “Paperboy” Reed track that was absolutely killer—one of the best things we’ve heard all year! The Boogaloo Bag is looking forward to the Paperboy’s next album, that’s for sure. DJ Rata wins the raffle for the 10-disc box set! Yayyyy!!! Photo curtesy of Javier Roa.